The fourth round of informal talks on the Sahara was held in Manhasset from 16 to 18 December 2010, under the auspices of the United Nations General Secretary’s Personal Envoy. Presided over by the Minister of Foreign Affairs and Cooperation, Mr. Taib Fassi Fihri, the Moroccan delegation was composed of Mr. Mohamed Yassine El Mansouri, General Director of Studies and Documentation (DGED) and Mr. Maouelainain Ben Khalihanna Maouelainain, Secretary General of the Royal Advisory Council for Saharan Affairs (CORCAS). After the four official direct negotiation meetings held under the auspices of the previous Personal Envoy of the United Nations General Secretary, Mr. Peter Van Walsum, the parties involved in the Sahara issue are meeting within this new informal framework, proposed by Mr. Ross, in order to relaunch the negotiations process. Mr. Ross, therefore, suggested “an innovative approach aiming at creating a favorable environment for the progress of the negotiations”. By way of background, in 2010, three rounds of informal talks took place on US soil in Armonk in February, in Manhasset in November and December. The inaugural round of these talks was held on August 2009 in Dürnstein, Austria. 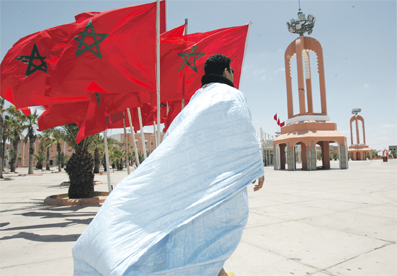 They were organized within the framework of the implementation of the Security Council’s resolutions 1813 (2008) and 1871 (2009) which call for the parties to enter into a phase of intense and substantial negotiations taking into account Morocco’s efforts since 2006 and showing practicality and a compromising spirit. Like the previous rounds of informal talks, the fourth round, held behind closed doors with the presence of representatives of Morocco, Algeria, Mauritania and the polisario, was followed by Mr. Ross’ declaration to the press. At the end of this three-day meeting, “the Moroccan delegation presented a number of initiatives and proposals to give more opportunity for negotiation to accelerate its pace and improve its relevance and insight”, stated the Minister of Foreign Affairs and Cooperation, Mr. Taieb Fassi Fihri. The Minister also talked about the need to avoid limiting the tours of the UN SG’s Personal Envoy for the Sahara to the simple act of preparation of negotiation rounds, but rather to inscribe them within a framework aiming, in addition, at “listening to those, in the region, who can help facilitate the process” in order to reach a solution for the good of the Arab Maghreb. In this sense, the Minister expressed Morocco’s strong will to reach a definitive solution to the Sahara issue on the basis of practicality and the Moroccan Initiative for Autonomy, which is welcomed by the entire international community. With regard to the Autonomy initiative, the Minister stressed that it represents a real opportunity for all peoples of the region. Mr. Fassi Fihri recalled that the previous Personal Envoy, Peter Van Walsum found, after four rounds of negotiations, that the independence option was unrealistic and unattainable. The region needs a final solution to this artificial regional dispute with the other parties, in particular Algeria, the main political and diplomatic support of the polisario, added the Minister. Morocco will spare no effort to give the negotiations another chance bearing in mind that “there are red lines”, namely the legitimacy of the Moroccan presence in its southern provinces and the unity and territorial integrity of the Kingdom. In this context, the Minister stated that the Kingdom is willing to give a new push to the process in order to progress through these innovative approaches, illustrated by the issues of assessing the actual condition of the region’s natural resources in order to clarify the situation and refute the false claims of the polisario concerning the exploitation by Morocco of these resources, and of the representation of the Sahrawi population, revealing that the polisario does not represent the whole population, although it claims to speak on behalf of our Moroccan brothers detained in the Tindouf camps in Algeria. Moreover, the Moroccan delegation presented evidence to refute the propaganda issued by polisario following the dismantlement of the Gdim Izik camp in Laayoune. Mr. Ross announced that the parties have proposed “concrete ideas that will be developed” during the two coming rounds of informal talks on January 21 and 22, and in March 2011. He called on the parties to “create a favorable climate of confidence to move the negotiations forward”. Mr. Ross stated that the Manhasset meeting was the occasion to talk about the latest developments that occurred, by mentioning the diversion tactics of the other parties at the time of the dismantlement of the Gdim Izik camp in Laayoune. Thus Mr. Ross called on the parties “to avoid all that might negatively affect the negotiations process”. The four delegations present (Morocco, Algeria, Mauritania and the polisario) confirmed that family visits by air are still taking place, as they fixed to meet people from the UNHCR in Geneva in order to “inform them about the action plan concerning family visits as a whole, and move towards launching those visits overland rather than by air only”. According to the Quai d'Orsay’s declaration on December 20, 2010, France considers that the accelerating pace of informal talks on the Sahara is an “encouraging sign” and reiterates its support for “further negotiations” under the auspices of the UN. For his part, the spokesman for the State Department, Mr. Philip Crowley, reiterated in his daily briefing that “there is no change in our policy; we continue to support the mediation efforts of the UN”. The fifth round of informal talks on the Sahara was held in Manhasset from 21 to 23 January 2011, under the auspices of the United Nations General Secretary’s Personal Envoy. This new meeting aims to examine concrete propositions within the framework of the “innovative approaches” initiated in November 2010, in order to “create an environment more propitious conducive” to the progress of the negotiations. Morocco presented many concrete ideas to accelerate the pace of negotiations on the Sahara issue and reaffirmed its disposition to find a political solution to this regional dispute on the basis of the Moroccan Initiative for Autonomy. Those concrete ideas concern “the ongoing process of negotiations and not the political solution”, said the Minister in a press conference, adding that the UN experience “showed that when the parties could not progress, they resort to innovative approaches” to accelerate and facilitate negotiations. Mr. Fassi Fihri evoked the idea to diversify the mission of UN SG’s Personal Envoy on the Sahara, to broaden the participants to the negotiations to include representatives of Saharan provinces representations, and examine the region’s actual state of natural resources and the positive way in which they are exploited for the benefit of the local populations. Those new ideas and propositions aim to “facilitate and accelerate the negotiations”, recalled the Minister, highlighting that “they concern conditions of the negotiations, the approach and the responsibilities of the UN SG’s Personal Envoy for the Sahara, which should not be limited to rounds of informal talks, but go further to include other diplomatic channels, meetings and visits, and broaden the delegations’ members to include experts”. The Minister wished that the next round of informal discussions would allow the parties to agree upon an action plan for these negotiations and the future points of discussions. The Minister expressed his desire that “the propositions of the Moroccan delegation will be taken into account during the next steps to get out of the deadlock”. The Minister also reiterated “the disposition of Morocco to find a solution to this regional dispute on the basis of the legitimacy of Morocco's presence in the Sahara and the autonomy initiative as compromising and realistic, two cardinal virtues mentioned in the UN Security Council resolution”. The United Nations and the international community highlight the serious nature of this initiative, added Mr. Fassi Fihri. Contrary to the spirit of openness, accountability and compromise demonstrated by Morocco, the other parties prefer the “status quo, refusing to go ahead and continue to ignore the call of the international community to find a negotiated political solution, sticking to outdated regulations and plans to hold a referendum judged by many as inapplicable”, he noted. These “parties have a historical responsibility vis-à-vis the peoples of the Maghreb against current challenges at a time when various dangers are hanging over the region”. Besides, the peoples of this region as well as the international community are “following with interest the situation and know which the parties that refuse to move forward are”. Mr. Ross said in a press conference that, during this meeting, the parties presented and discussed preliminary concrete ideas which will be developed in the course of the next session, scheduled for March 2011. Mr. Ross noted that this new round took place in an atmosphere of “serious engagement, frankness and mutual respect”, but “each party continued to reject the other’s proposal as the sole basis for future negotiations”. Concerning the humanitarian aspect, the four delegations present (Morocco, Algeria, Mauritania and the polisario) plan to go to the UNHCR bureau in Geneva in early February, in order to “inform them about the action plan concerning confidence building measures, and move towards launching visits over land”. Moreover, they welcomed the resumption of family visits by air on January 7, 2011. The UN SG’s Personal Envoy recalled that the parties engaged, since the 3rd round held in Manhasset in 2010, in «thorough discussions on innovative approaches in order to constitute a new start to this process on the basis of regular meetings». The sixth round of informal talks on the Sahara took place from 7 to 9 March 2011, in Malta, at the invitation of the United Nations General Secretary’s Personal Envoy. 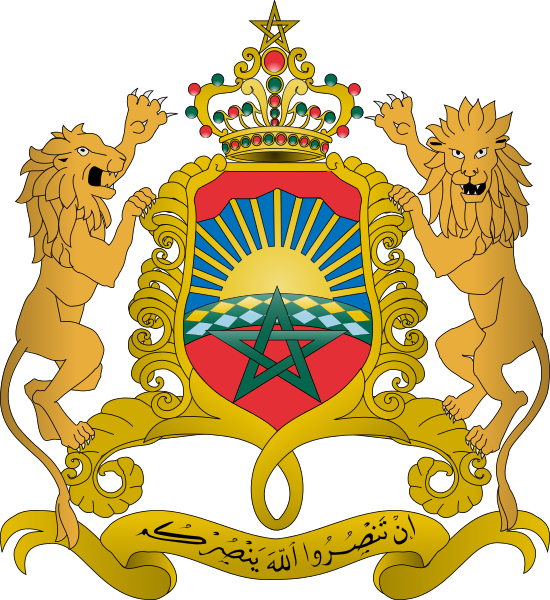 During the fifth round, which was held in January, in Manhasset, Morocco presented a number of concrete and innovative ideas to accelerate the pace of the UN negotiations on the Sahara, and reaffirmed its disposition to find a political solution to this regional dispute, on the bases of the Moroccan Initiative for Autonomy. The UN spokesman said that the “parties were invited, in Malta, to work on those new approaches and issues in order to find a common ground for the next sessions”. The Moroccan delegation expressed its “extreme disappointment” at the refusal of the polisario to discuss the issue of human rights within the UN informal talks on the Sahara, that it, itself introduced during the previous round of negotiations, held in January in Manhasset. The Minister added that Morocco is ready to discuss all aspects of this issue. Mr. Fassi Fihri wondered why the other parties refused to talk about the issue they raised, and whether it is related to the forces of law and justice that prevail in Morocco, and which have been strengthened by the creation, at the will of His Majesty King Mohammed VI, of the National Council for Human Rights, an institution that meets the most demanding and credible criteria in terms of respect for human rights. The Minister noted, moreover, that the Moroccan delegation to Malta “responded positively to the approach expressed by Mr. Ross to explore new ways and discuss additional questions”. In this sense, it has approved the examination of a number of issues, including the status of natural resources in the provinces of Sakia El Hamra and Oued Ed-Dahab and the mission of Mr. Ross. Concerning natural resources, the Moroccan delegation will tackle the issue with the objective of putting an end to the “unfounded claims and one-upmanship” about the alleged exploitation of these resources by Morocco, he said. In this regard, Mr. Fassi Fihri noted that this wealth, both in the field of fisheries or phosphates, is “modest” and is implemented through the State’s action, private investments and national solidarity for the benefit of the people of the southern provinces. On the other hand, the Minister recalled that the Moroccan initiative for autonomy of the Sahara region was further developed by the Moroccan delegation during the Malta meeting, to emphasize its “virtues” as “a realistic and compromising approach” that will allow “the people of this land to meet again after decades of separation”. Morocco will seize the opportunity of the next round, in late May, to convince the UN about the importance and credibility of the Moroccan initiative which is part of the implementation of relevant Security Council resolutions, in particular the resolution 1920. Mr. Ross said that the sixth round of informal talks, held in Malta, took place in a “climate of serious engagement, frankness and mutual respect”, noting that at the end of this session “each party continued to reject the proposal of the other as the sole basis for future negotiations”. He also announced the organization of a new round of informal talks by the end of May2011. "The parties agreed to discuss, during the coming round of informal talk, a number of issues among which are natural resources and mine-clearance”. They also discussed “calming measures and ways to avoid all kind of provocation that could have a negative impact on the negotiation process” and agreed to provide “additional measures for the work” of the UN SG’s Personal Envoy for the Sahara. Concerning confidence-building measures, Mr. Ross noted that the delegations of Morocco, Algeria, Mauritania and the polisario discussed in Malta the results of their meeting with the United Nations High Commissioner for Refugees (UNHCR) last February in Geneva, and “confirmed their support” for the UNHCR technical mission that will be held in April 2011 in order to “create the best conditions”, on both sides, for the organization of family visits by land. The seventh round of informal talks on the Sahara took place from 5 to 7 June 2011, in Manhasset, at the invitation of the United Nations General Secretary’s Personal Envoy, Mr. Christopher Ross. This is the first round to take place following the publication of UN secretary General’s report, last April, and the Security Council’s resolution 1979, by which the mandate of the MINURSO is expanded through April 30, 2012. The parties were invited, in Manhasset, to work on “arrangements consistent with the purposes and principles enshrined in the UN Charter. They deepened the discussion of the two proposals, including the issue of the electoral organ and of self-determination mechanisms”, stated the UN SG’s Personal Envoy. The Minister stated after the seventh round of informal talks on the Sahara that Morocco “fulfilled its obligations” with regard to human rights, unlike the other parties. Algeria and the polisario must fulfill their obligations and carry out the census and registration of the populations sequestered in Tindouf, Algeria. He added that “every refugee, wherever he might be, asks, requires and has the right to be registered and hold a UNHCR card that identifies him. This card gives him the opportunity to undergo a personal interview that may lead him to his possible return to the Motherland”. “The situation in Tindouf is no longer tolerated or tolerable. We can no longer tolerate in the 21st century, at a time when the Arab peoples who were taken under various dictatorships got released, that a population ideologically marked by the single thought is still sequestrated”, declared Mr. Fassi Fihri, insisting on the fact that “the first element now is to enable the youth to freely express their intentions and especially to be registered”. The Minister regretted that this right “has never been granted”, adding that today, Morocco “welcomes that, for the first time, UN Security Council’s resolution discusses emphatically the obligation of Algeria to allow the achievement of this registration”. The registration has always been a Moroccan claim, he said, adding that “beyond this approach, which is part of the mission and mandate of the High Commissioner for Refugees, the Security Council calls clearly on all parties with regard to the issue of human rights”. In the same context, the executive body of the United Nations welcomed the mechanisms put in place by the Kingdom, namely the National Council of Human Rights with its local antenna as it welcomed the institution of Interministerial Delegate for Human Rights. He called to shed light on the situation of Human Rights in the Tindouf camps, urging the international community and NGOs to focus on the denial of the right to freedom of expression and movement that the people in Tindouf, and especially young people, are subject to. Concerning terrorist threats in the region, the Minister stated that "the majority of the Security Council members are convinced more than ever that the Maghreb region can no longer tolerate the non-resolution of this conflict, because of the capacity of Al Qaeda in the region and the terrorist attacks that took place in the neighboring countries”. In addition, he said that this round follows the adoption, last April, of the resolution 1979. this resolution is of extreme importance in the sense that it "embodies the previous achievements", namely the rule of the Moroccan initiative of autonomy in the Sahara and the need for these negotiations to be realistic and compromising, taking into account the efforts made by Morocco in 2006, when it presents this proposal. Mr. Fassi Fihri noted also that this round focused on the Sahara's natural resources and the issue of the representativeness of the Sahrawi population, stating in this regard that the polisario can not continue its claim of being the only representative of this population. Mr. Ross said that “like all the other previous rounds of informal talks, the seventh round took place in a climate of serious engagement, frankness and mutual respect”. He added that “in order to find a just, lasting and mutually acceptable solution within the framework of the purposes and principles of the UN Charter. The two parties deepened the discussion of both proposals, including the question of electorate body and the mechanisms of self-determination”. At the end of this session “each party continued to reject the proposal of the other as the sole basis for future negotiations”, noted Mr. Ross. The eighth round of informal talks on the Sahara took place from 19 to 21 July 2011, in Manhasset, at the invitation of the United Nations General Secretary’s Personal Envoy, Mr. Christopher Ross. At the end of the eighth round, the Minister of Foreign Affairs and Cooperation said that it is important to "give a chance to the UN innovative approach. The UN has already used such innovative approaches to solve similar cases of disputes and conflicts”. Mr. Fassi Fihri added that Morocco is contributing to this parallel approach with the hope that it could shed new light to this case and improve it so as respected and legitimate representatives of the people could be part of the undergoing process. However, the Minister pointed out that the kingdom "detains the right to assess next meetings – be it thematic or related to the specific issue of people's representatives," emphasizing that only then, can we know when next meeting will be held and will take a final decision on the outcome of this process including the process initiated under the auspices of the former UN SG’s Personal Envoy, Mr. Peter Van Walsum". Mr. Van Walsum got to the conclusion that, after four formal sessions of negotiations, the independence option is irrealistic and impractical; after which he has "been asked to quit". He added that the resolutions adopted by of the UN Security Council since 2007 "have been clear, and grew stronger, clearer and richer, and reinforce the Moroccan position while creating opportunities for a new background of parallel negotiations". Wishing that “this process be fruitful Morocco”, Morocco can only condemn, strongly, this unacceptable status quo, installed by the other parties and their refusal to evolve and move forward, knowing that Morocco has evolved from its initial position within the Moroccan initiative, which set a final status and real autonomy under Moroccan sovereignty". In the same context, the Minister deplores that "Algeria and the polisario are not showing a real desire to find a quick solution, in accordance with international law, to the dispute they themselves created”. In this regard, M. Fassi Fihri stressed that the normalization process of the relations between Morocco and Algeria aims "to contribute to the resolution" of the Sahara issue. This process, which includes "many sectors as well as visits and views exchanges at ministerial level reflection, aims also to meet the challenges facing the Arab Maghreb region in economic and security fields and thus to contribute to the resolution of this regional dispute”. The UN Secretary General’s Personal Envoy, Christopher Ross, announced that the upcoming informal talks on the Sahara will be held "after the fall session of the UN General Assembly", adding that as it was the case with the previous rounds, at the end of the eighth round “while they continued to reject the proposal of the other as the sole basis for future negotiations, both parties reiterated their commitment to work together to find a political solution in accordance with the relevant resolutions of the UN Security Council". The UN SG’s Personal Envoy said that “in order to find a just, lasting and mutually acceptable solution within the framework of the purposes and principles of the UN Charter. The two parties deepened the discussion of both proposals, including the question of electorate body and the mechanisms of self-determination”. He explained that the parties continued to discuss «the new ideas put forward by the UN Secretary General in paragraph 120 of his last report to the Security Council and endorsed by this latter." On this occasion, Mr. Ross said, the parties have explored ways to involve respected members of a large group representing the population of the Sahara in order to support the ongoing negotiation process. "They also started a discussion, which will be detailed in the coming months, on governance issues, such as education, environment and health," he added. On this point, he stated that "the parties confirmed their intention to participate in the seminar to be organized by the UN High Commissioner for Refugees, in Madeira (Portugal) in September 2011, and in the next review meeting with the Office of the United Nations High Commissioner for Refugees, in Geneva in October 2011. He went on saying that the parties had "initiated a preliminary discussion on the issue of natural resources within the framework of the reflection proposed by the United Nations", stressing that "in this sense, the parties agreed to work, in the coming months, with the United Nations on issues related to natural resources and mine-clearance in order to deepen discussions within the framework of the negotiations". In this context, the parties "have also taken note of the report of the last technical mission of the United Nations Mine Action Service (UNMAS)". Concerning the confidence building measures, Mr. Ross stated that "both the parties and the neighboring countries have confirmed their support for the orderly implementation of the 2004 Action Programme as well as family visits by land." The ninth round of informal talks on the Sahara took place from 19 to 21 July 2011, in Manhasset, at the invitation of the United Nations General Secretary’s Personal Envoy, Mr. Christopher Ross. Presided over by the Minister of Foreign Affairs and Cooperation, Mr. Saad Dine El Otmani, the Moroccan delegation was composed of Mr. Mohamed Yassine El Mansouri, General Director of Studies and Documentation (DGED) and Mr. Maouelainain Khalihanna Maouelainain, Secretary General of the Royal Advisory Council for Saharan Affairs (CORCAS). During this round, the discussions focused on confidence-building measures, mine-clearance, natural resources and environment. In this regard, the parties welcomed the progress made on these issues, and have confirmed their interest in continuing to work with the UN on these and other issues within the framework of the ongoing negotiations. With regard to confidence-building measures, the parties reviewed the results of the second evaluation meeting with the Office of the High Commissioner for Refugees in Geneva on 24 and 25 January 2012. The parties have also confirmed their willingness to participate in two seminars organized by the Office of the High Commissioner for Refugees in Geneva, in June and October 2012. In addition, Dr. El Otmani reiterated "the strong will" to achieve an innovative solution that goes beyond the conventional pathways out of the Sahara issue deadlock, and he also deplored that the other parties are standing their ground, with regard to the census of the populations in the Tindouf camps. The Minister expressed regret that the census, "an inherent human right" and a "call not only from Morocco but also from the international community," was not yet implemented, noting that the last Security Council resolution on Western Sahara, adopted unanimously by the fifteen, called for a census of the population in the Tindouf camps. Following this round, which he described as a positive step to a negotiated political settlement, Dr. El Otmani said “Morocco's commitment to find an innovative solution that goes beyond conventional solutions, which can be applied before the UN calls for a mutually acceptable political solution for the parties, through the reports and resolutions of the Security Council. The Minister further stated that Morocco, through its autonomy plan, put on the table "an open initiative developed in conformity with the appeals of the UN Security Council for an innovative solution" saying that the autonomy initiative for the Sahara, under Moroccan sovereignty is" open to discussion and improvement to reach a mutually acceptable solution, in accordance with international law." At the end of this round, Mr. Christopher Ross said that this new series of informal talks took place in "an atmosphere of serious engagement, frankness and mutual respect." He noted that the parties pursued "the deepening of the discussion in their respective proposals," stressing, however, that "each party continued to reject the proposal of the other on the sole basis of the forthcoming negotiations, while reiterating their willingness to work together to find a solution in accordance with relevant United Nations resolutions." Mr. Ross stated that the parties continued their discussion on "new ideas expressed by the Secretary General of the United Nations in its latest report endorsed by the UN Security Council," noting that they also "continued discussions on mine-clearance, natural resources and the environment. " In this regard, he noted that the parties "rejoiced at the progress on these topics and confirmed their interest in continuing to work with the United Nations on these and other issues in the context of the ongoing negotiations."